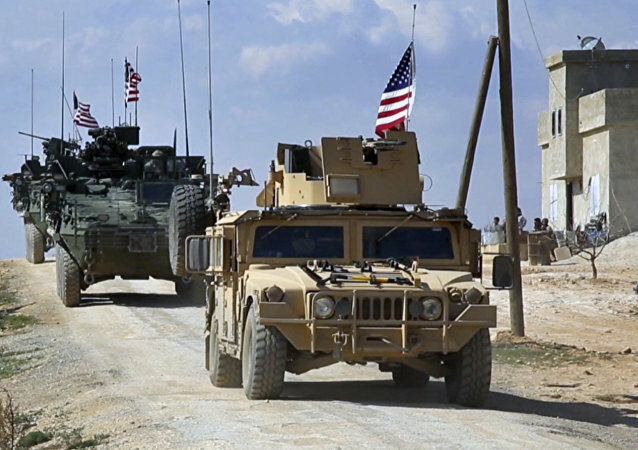 The US' determination to maintain its presence in Syria is primarily about crude and pipelines, not security issues, geopolitical analyst Phil Butler told Sputnik. Meanwhile, it appears that the Turks may undermine the US' plans. 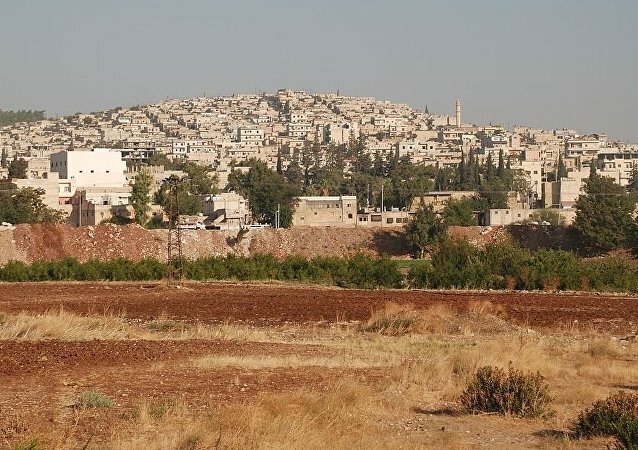 Commenting on the Turkish military’s continued advance in Syria's Afrin district, Turkey-based political commentators told Sputnik that Operation Olive Branch should be viewed in the context of Euphrates Shield, Ankara's first military operation against Kurdish forces, which was completed in March 2017. The Turkish Prime Minister Binali Yildirim stated that the country's warplanes have bombed YPG, PYD targets in the Syrian city of Afrin. While Secretary of Defense James Mattis recommends Ankara not to take reports of the creation of a "border force" in northern Syria to heart, Washington sees its Kurdish allies as a tool which will allow it to remain relevant in Syria, ex-CIA officer and Canada-based Syrian political observer told Sputnik. According to Turkish media reports on Tuesday, Turkey’s possible offensive in Syria’s northern Kurdish-controlled Afrin enclave is set to start with airstrikes on 149 targets of the Kurdish People's Protection Units (YPG). The Free Syrian Army (FSA) supported by Ankara will shift its priority to the struggle against the Kurdish self-protection units, Ahmed Osman, the commander of the FSA's Sultan Murad Brigade, told Sputnik, adding that the Turkish coalition is ready to attack Afrin, Syria's Kurdish-dominated canton. 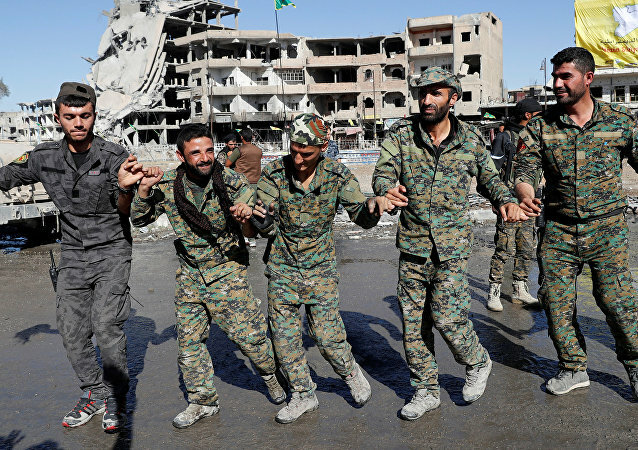 The Pentagon's latest decision not to halt weapons supplies to the Syrian Kurds could have been aimed at 'cooling down' Turkey which is considering an attack on Syria's Afrin, Wladimir van Wilgenburg, political analyst and specialist on Kurdish affairs has told Radio Sputnik, adding that US troops are unlikely to withdraw from Syria any time soon. 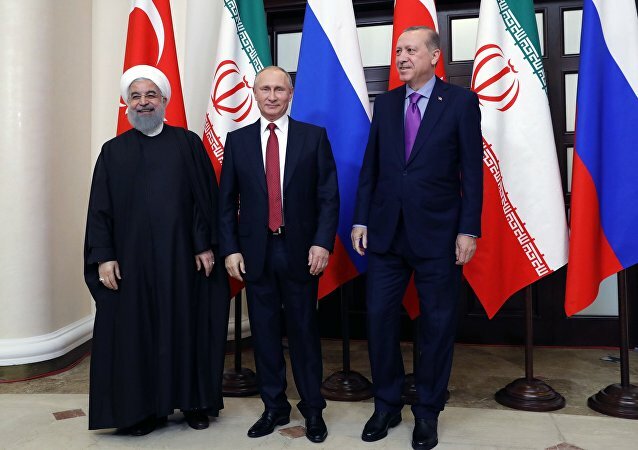 Russia, Turkey and Iran's efforts aimed at solving the Syrian crisis has borne fruit paving the way for the holding of the future National Dialogue Congress in Sochi, Turkish politicians have told Sputnik. One of them suggested that the center of the negotiation process has shifted from Geneva to Asia with the US' influence on the talks waning. With the Kurdish-led Syrian Democratic Forces (SDF) ousting Daesh terrorists from Raqqa, their de facto capital, some pundits and commentators are calling on US President Donald Trump to instruct proxy militias to launch a wider campaign against the Syrian Army - and other pro-government forces - to remove President Bashar al-Assad from office. 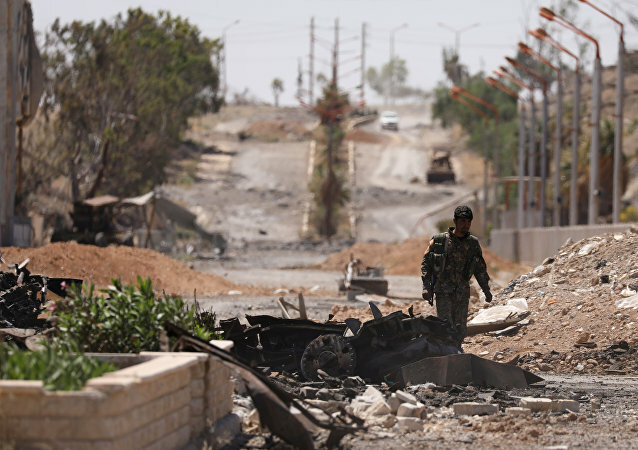 Would Kurdish Independence From Iraq Cause More Regional Instability? Despite regional and international opposition, the Kurdish Regional Government (KRG) have insisted that the upcoming referendum, which could result in the autonomous Kurdish region breaking away from the rest of Iraq, will go ahead as scheduled, on the September 15, 2017. Turkish Prime Minister Binali Yildirim warned Friday that the United States' continued support of the Kurdish People's Protection Units (YPG) may become a "problem" for the bilateral relations. The Kurdistan regional government should not go forward with a planned referendum on independence scheduled for September 25 due to the complexities of keeping a cross-cultural, ethnic military coalition focused on its mission to defeat Daesh, according to US special presidential envoy Brett McGurk. 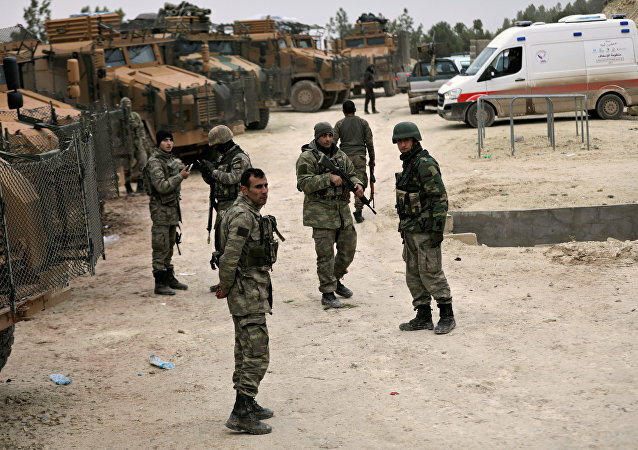 The United States keeps supplying the Democratic Union Party (PYD) in Syria with ammunition to fight the Islamic State terrorist group (Daesh), delivering 50 truckloads on Friday alone, Turkish media said. 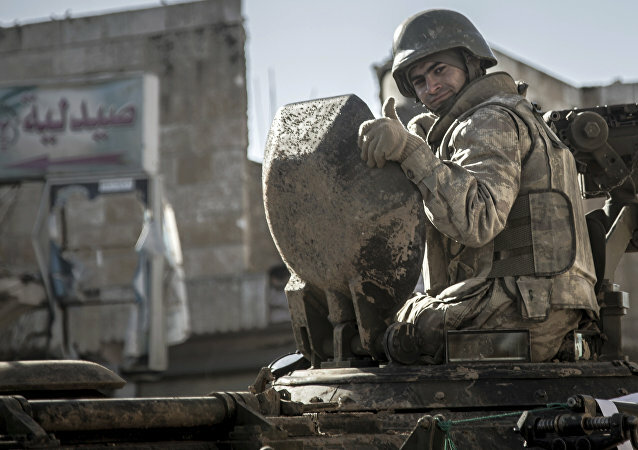 Growing US pressure on NATO and the alliance’s recent decision to join the anti-terrorist coalition in Syria has revived concerns that the block might become a force threatening the territorial integrity of Syria. Turkish political analyst Nursin Atesoglu Guney told Sputnik how Russia and Turkey might prevent the breakdown of the Syrian state. 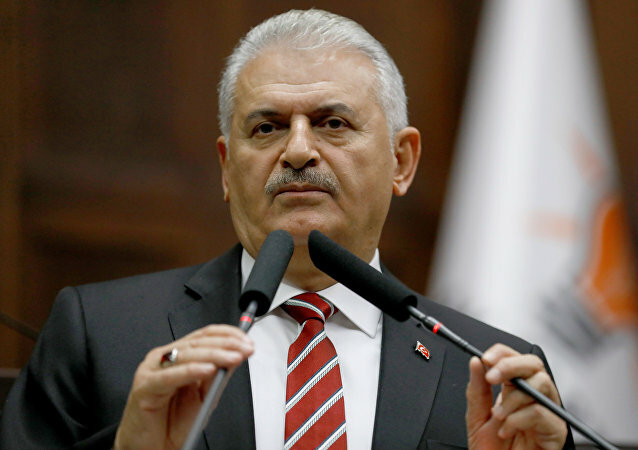 The United States has informed the Turkish authorities about the start of an operation to liberate Syria's Raqqa from Daesh, in cooperation with Syrian Kurdish forces, Turkish Prime Minister Binali Yildirim said Sunday. 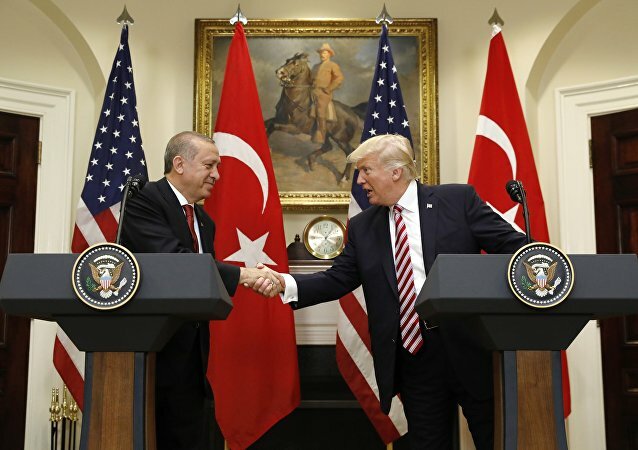 The recent summit between the leaders of the US and Turkey has not borne any fruit, much to the disappointment of Turkish experts and politicians. Speaking to Sputnik, Turkish political scientist Serhat Guvenc said that Erdogan's American tour was nothing but a simple courtesy visit. The US and Turkey seek to continue cooperation despite disagreements over the Syrian Kurdish Democratic Union Party (PYD), which Ankara considers to be a branch of the Kurdistan Workers' Party (PKK), outlawed in Turkey, Ozturk Yilmaz, opposition Republican People's Party (CHP) deputy chair responsible for foreign relations, told Sputnik. The sixth round of the UN-mediated intra-Syria negotiations between Damascus and the country’s opposition kicks off on Tuesday in the Swiss city of Geneva.